Facts : What is Organic Coffee? We all want to live healthier, longer, and more active lives, which is why the food and beverages we consume are such important choices. As coffee lovers, the countless new studies and articles about the health benefits of coffee are music to our ears. And not surprisingly, these studies have led to more health-oriented coffee choices, including call outs for “organic coffee” at the grocery store and cafes. We’re constantly asked about whether our coffees are organic, and while many are, organic isn’t necessarily synonymous with better coffee. We drink a ton of freshly roasted Kona coffee every single day. As a group of organic-produce-consuming-vegetarian Pacific Northwesterners, we tend to care about what we’re putting in our bodies (for better or worse). That’s why we thought it so very important to clarify some of the common misconceptions we hear about organic coffee. Without further ado, here are the key facts and fictions when it comes to organic coffee. Organic-certified coffees can be treated with wide range of pesticides. The organic label on a coffee bag just means the pesticides used are organic (natural) vs. synthetic. And increasingly, research suggests that natural pesticides can be as toxic as synthetic ones. Worse, many argue that runoff from natural pesticides may in fact be more harmful to water-based ecosystems. The quality of a coffee is determined by many factors, including elevation, soil, harvest and processing technique, roasting process, the freshness of the coffee, the quality of the water, the cleanliness of the equipment, etc. From an economic standpoint, farms and roasters who can afford to become organic certified are also generally operating at much higher scale. In our experience, factory farming and roasting are generally associated with a drop in quality. What we’ve discovered is that coffee quality is tied to the amount of love a coffee receives, from the farm to the roaster to the cafe to your cup. This is why we work with roasters who are meticulous about their bean sources and roasting. There’s no correlation between the absence of organic certification and the use of any pesticides. This will come down to the individual farm and how they operate. 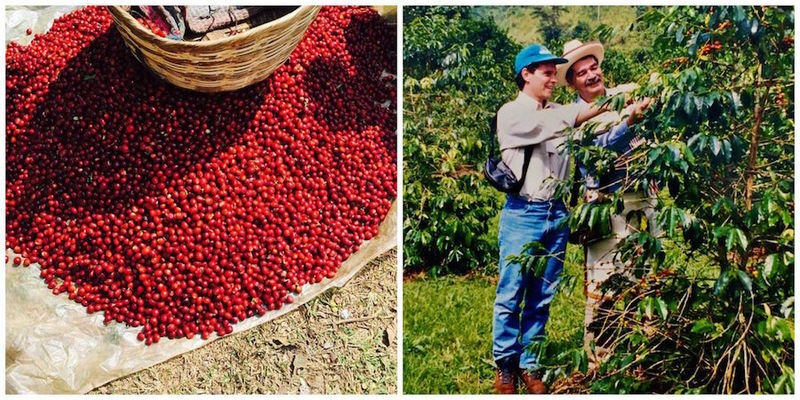 Many high-end specialty coffee farmers employ an eco-friendly and integrated pest management approach that doesn’t rely on synthetic pesticides and fertilizers. In fact, many specialty coffee farmers don’t need to use pest control tactics because their coffee is grown at high enough elevations, where pest problems aren’t an issue. Many of these farms also have the benefit of incredibly rich soil because of for example, the sparsely inhabited natural rainforest, or the inaccessible mountainous regions the estates are built on. 100% Pure Kona Coffee with an organic label must be roasted on a roaster dedicated to organic green beans, or on equipment that has been thoroughly cleaned between roasts. Even if the beans are certified organic, they can’t be labeled as such once they go into a roaster that has been used for non-certified beans. For this reason, most small batch roasters either sell all organic coffees, or none at all. And sometimes, for marketing reasons, we’ve seen roasted bean labeling highlighting organic beans, even though the equipment renders the roast non-organic. Finally, what goes for the roaster should also technically extend to the grinder and brewing equipment, which means that even beans grown, processed, or roasted in certified organic ways are, by organic standards, completely contaminated by the time you take a sip. In many categories of food, organic certification can be truly meaningful. But what we’ve learned in coffee is that the best guarantee of a high quality, healthy cup is to stick to small-batch roasters and micro-lots, and to look for end-to-end handling that’s dedicated to quality first, rather than scale. There’s nothing more important to us than the quality of the coffee we drink every day and share with our customers, so we hope this helps clarify how best to think about what makes your brew truly great.